Apple has released a FaceTime Camera Driver Update for all 2015 MacBook, MacBook Air and MacBook Pro notebooks that improves FaceTime camera compatibility with Windows. Apple recommends that all Boot Camp users install the software update (1.4MB) from the Apple Support website. Languages supported include English, French, German, Dutch, Spanish, Italian, Portuguese, Portuguese (Brazil), Russian, Polish, Swedish, Finnish, Danish, Norwegian, Korean, Chinese (Traditional) and Chinese (Simplified). Please fix Facetime so I can call anyone, anywhere. Like Google voice, but do it better. This is the fix that we need most. If you download google voice onto your iphone, you can call any phone (including landlines). you can receive phone calls from any phone. You get voicemail. 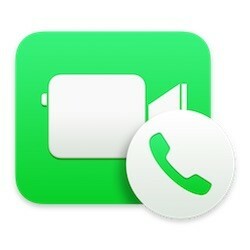 If you use facetime audio call, you can only call other iDevices. they need to make it so that I can call anyone not just iDevices. If you use facetime to video call, you can only call other iDevices. Skype lets you call any computer. Apple needs to allow facetime to reach outside the walled garden. Hope that explains what I mean. Buy a Windows machine? I think you've gone crazy... now that's a face palm. Spoiled as a Mac user. I forget driver updates exist. FaceTime Camera Driver Update. Languages supported include English, French, German, Dutch, Spanish, Italian, Portuguese, Russian, Polish, Swedish, Finnish, Danish, Norwegian, Korean, Chinese. So Apple what if I have a Danish machine, but I Facetime in Italian? It doesn't affect my Mac, but hopefully native FaceTime audio calling will soon get some love from the Apple Watch. Not using the most important feature and reason of bootcamp....runs games better. Parallel FTW! ... can't imagine booting into windows on a Mac.